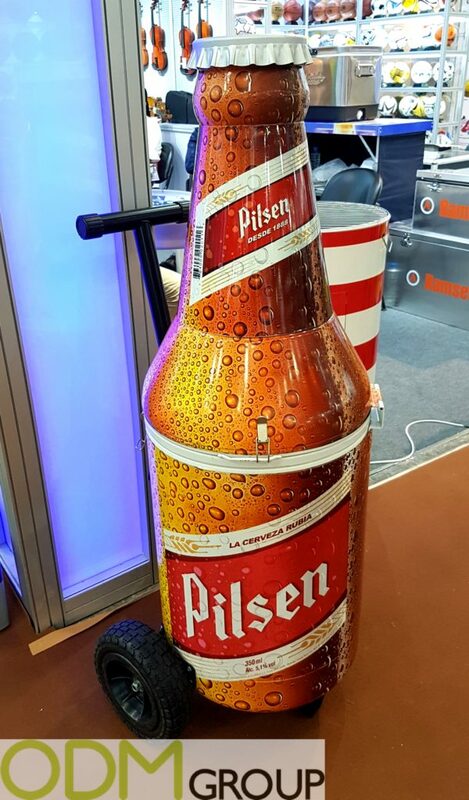 Beer and barbeque go perfectly together, so why not combine them in this unique way for your next Beer Promo? This barbeque is proving to be double the fun by also having a cooler! Why choose when you can have both? This barbeque is shaped like a beer bottle. It can be split in half and the beer cap can be detached to reveal a foot for the top part to rest on. The top part is the barbeque, and the lower part is the cooler. Because the barbeque is quite large, there is a huge surface for branding. The minimum order quantity for these is 150 pieces, and the material is steel. The barbeque part has a cover that can be clipped on and off, and underneath is the grill for the barbeque. Why do we like this Beer Promo? High Quality: This Branded BBQ is very high quality. Offering an item such as this will make customers feel like they are getting value for their money. Customers will appreciate this, and might even become loyal to the brand. The more loyal customers a brand has, the better the position between competitors. Design Appeal: The 2 in 1 function of this barbeque/cooler is very convenient. It will save space and hassle, and might serve as an incentive to make customers interested in your brand. The huge branding space also makes this a very good promo item. 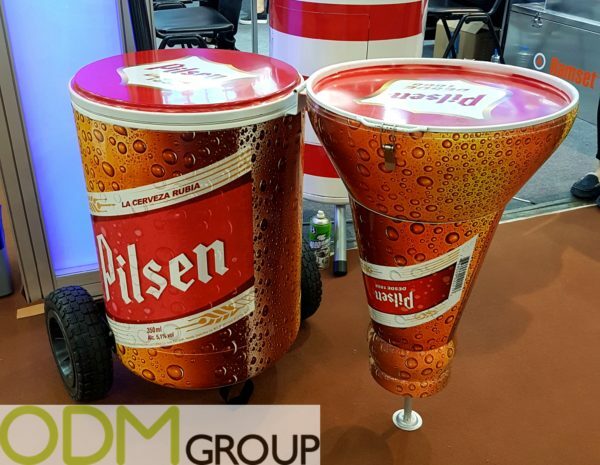 Additional Customers: If an item like this 2 in 1 BBQ is offered as a prize for your Beer Promo, it might attract more customers. This custom BBQ is unique, and is only offered for a short time. This might make the product more sought after.